Happy Friday Team Stryker fans! This page was a lot of fun as it was a very fast moving page with a lot going on. Getting to draw Eagleheart being blown away by the cannon was a highlight for me. Sometimes the smallest panels can be the most satisfying. I will miss getting to draw Space Commie Eagleheart as I loved his hammer and sickle chest hair. 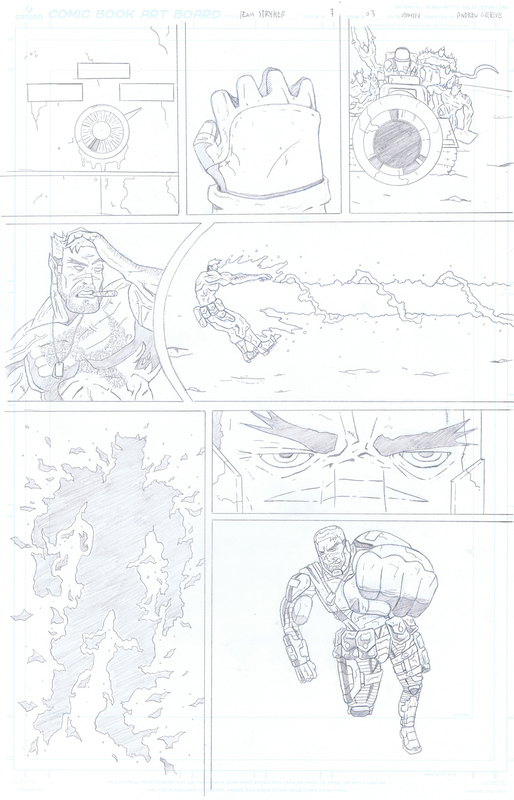 Have a great weekend and be sure to check back on Monday for the newest page of Team Stryker!